Our goal is to connect people with the best local experts. 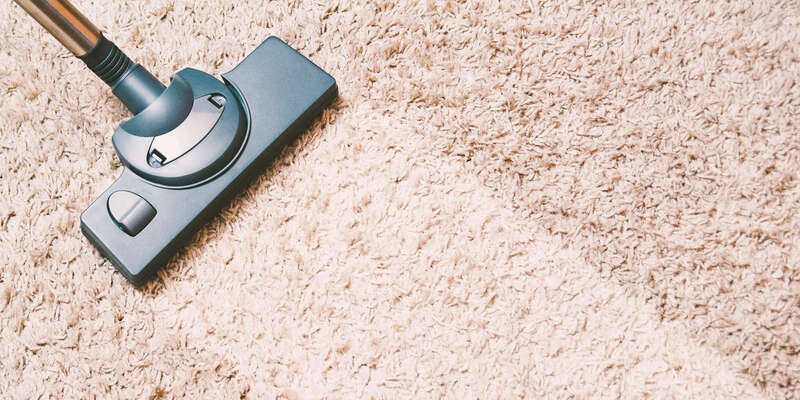 We scored carpet cleaners on more than 25 variables across five categories, and analysed the results to give you a hand-picked list of the best carpet cleaners in Sparks, NV. House Cleaning Reno is a professional cleaning service operating in Reno, Nevada, and the surrounding area. They offer commercial and residential services for offices and homes, including carpet cleaning, dusting, floors, bathrooms, trash removal, and more. In addition to this, hygienic mattress cleaning services are recommended to keep bedbugs, dust mites, and bacteria out. Prospective customers can receive quotes online. House Cleaning Reno promises their window washing services will improve the overall appearance of homes and offices by removing smudges that block natural light. Depending on the type of carpet and foot traffic, they estimate results from shampooing and steam cleaning can last 10 to 15 years. Nevada Water & Fire Restoration is a full-service restoration company that has been serving northern Nevada for more than 10 years. They offer carpet cleaning, mold remediation, water and fire damage services, and pet odor and stain removal. Nevada Water & Fire Restoration has a strong commitment to customer satisfaction and can be contacted 24 hours per day for home emergencies. They serve residential and commercial properties and encourage new customers to reach out via the internet or by phone in order to schedule an initial consultation. Nevada Water & Fire Restoration can help its customers interface with their home insurance companies and accepts a wide variety of insurance carriers. New Sunrise Cleaning, in Sparks, Nevada, is a locally owned and operated cleaning company dedicated to offering homes and businesses a cleaning experience that surpasses expectations. They offer a number of options such as carpet and upholstery cleaning, tile and grout, pet stain and odor removal, and carpet repair. Also, emergency water damage restoration is available 24 hours a day, seven days a week, using truck-mounted extraction machines to remove water, reduce humidity, and dry surfaces over a thousand times faster. Estimates are free, and the office is open six days a week. They serve Sparks and Reno as well as surrounding areas, and customers have described them as prompt and highly skilled. Northern Nevada Carpet Cleaning is a locally owned and operated carpet cleaning company. Crews with years of experience provide a thorough clean for a fresh environment and improved air quality and can handle a variety of carpet materials, rugs, older carpets with deep soil, new carpets, and those that require special care due to being delicate. Upholstery cleaning and tile cleaning services are available as well. Customers appreciate friendly and knowledgeable technicians, top-quality results, and free consultations as well as on-site estimates, and all services come with a 100% satisfaction guarantee. Northern Nevada Carpet Cleaning is licensed and works for home and business owners, interior decorators, and real estate agents. Real Deal Carpet & Upholstery Cleaning has been cleaning carpets in the Reno-Sparks Metro and surrounding areas for almost 15 years. Property owners can read through the company's carpet cleaning process on its website, and services include soil extraction, spot removal, pet odor and stain removal, red stain removal, carpet repair and stretching, and DuPont Teflon protector. The team of cleaning and restoration specialists completes continuous education to remain current with the latest trends and can also perform upholstery cleaning and tile cleaning/sealing, ozone treatment, and 24-hour water extraction. The group is certified by the Institute of Inspection, Cleaning and Restoration Certification, holds an A+ rating with the BBB, and offers free consultations. Scrub Brothers Carpet & Upholstery Cleaning is a commercial and residential carpet cleaning contractor. The company serves the city of Reno NV, along with all of the areas in Northern Nevada. Customers can just sit back, relax and watch their homes gleam like new with the excellent service provided by Scrub Brothers Carpet & Upholstery Cleaning. Other than carpet cleaning services, this contractor takes care of all household cleaning needs. Their services include carpet cleaning, air duct cleaning, upholstery cleaning, tile and grout cleaning and water damage restoration. They welcome residential and commercial clients. Professionalism is the keyword that Scrub Brothers Carpet & Upholstery Cleaning operates on, making them a leading and trusted cleaning service in Reno and beyond. Sunshine Cleaning Services has served the Reno, Nevada area with janitorial and cleaning services since 1978. Owner and manager Laura Hyde offers cleaning for medical and other offices, floor care, window and solar panel cleaning, green cleaning, pigeon and bird deterrents, and construction site cleaning. They are committed to providing prompt, courteous, and professional services to residential and commercial customers and have experience with all types of cleaning jobs. Sunshine Cleaning is a member of the Reno Chamber of Commerce, holds an A+ rating with the Better Business Bureau, and is insured. Customers praise the training and promptness of the staff, their availability on short notice, and their excellent work.